Parts of the following appeared in a viewpoint published by the Lansing State Journal (9/19/2016). The march to war continues unceasingly regardless of which of our two major parties holds the highest office in the land. Last month, President Obama, without any discussion with Congress, authorized air strikes into Libya. We have been in endless war since the passage of the Authorization to Use Military Force (AUMF) was given to President Bush by a quiescent Congress after the September 2001 attacks on the US. Only Rep. Barbara Lee (CA) then cautioned that the road we were to embark on might make things worse. There seems to be plenty of evidence to show she was right, as the invasions of Iraq and Afghanistan have not brought peace but the opposite. Even many military leaders question the effectiveness of these assaults by air. Such actions have fueled the rise of more terrorists, not fewer. For everyone killed, especially civilians, by a bullet or a drone attack, more recruits are driven by hopelessness to fight against the unleashed power of the West. Besides the human casualties – dead, wounded, displaced millions — the infrastructure, antiquities, and environment have been laid to waste. It will take many billions to rebuild yet never recover from the scourge of war. But this doesn’t even begin to measure even the narrow focused US economic costs, which a recent Watson Institute for International and Public Affairs at Brown University reports as $4.8 Trillion since the AUMF was passed. Add in the human, social and political costs and the picture gets grimmer. Although it is by far the largest portion of the discretionary federal budget, neither of the two major party candidates are willing to confront the racket of endless war. In fact, they appear to see who is tougher. (Each of the two leading minor party candidates believe that military spending needs reduction.) Our fourth estate turns a blind eye to the endless war and the black hole of military spending it engenders. As admirals and generals retire, they walk through a revolving door into war room suites of Lockheed Martin, Boeing, Raytheon, General Dynamics, and other profiteers to six figure incomes and plenty of perks. A report released a few years ago by the Citizens for Responsibility and Ethics in Washington noted 70% of retiring three an four-star generals joined military contractors, sometimes simultaneously sitting on the Defense Policy Board. With all this cronyism and huge contracts you might be surprised to know that the Pentagon is not audited – the only department to escape such oversight. Efforts to pass legislation to make an audit mandatory, have received no hearing, let alone a vote. You might think that both rock solid fiscal conservatives and bleeding heart liberals might join together on this one, but no. The senate version S.327 has only 8 co-sponsors – Democrats Joe Manchin and Ron Wyden, Independent Bernie Sanders, and Republicans Rand Paul, Charles Grassley, Ted Cruz, Kelly Ayotte, Mike Crapo, and Dean Heller. The House version H.R.942 was introduced by Democrat Barbara Lee has 11 co-sponsors, 8 Democrats and three Republicans. Rep. John Conyers is the only member of the Michigan delegation to be a co-sponsor. As we move towards more remote trigger killing and destruction, from 30,000 feet or 5,000-10,000 miles away, our media and thus our society ignores the onslaught we reek elsewhere. Sometimes the devastation is done directly with US forces, other times by proxy with weapons we supply This has been the dark side of our history, from our earliest days of conquest of the native peoples who lived here before Europeans ”discovered” America. We all share in this heritage when we elect representatives who cowardly rubber stamp the executive call to arms. Even our Nobel Peace Laureate President has called for a $1 TRILLION spending on nuclear weapons!!! Anyone who dares challenge the violent response of our government is bullied as “unpatriotic.” The dominant cultural norm is being tough and trouncing the enemy and too bad for any innocent civilians, essential community infrastructure, or cultural or historical heritage sites. Given Jesus’s call to turn the other cheek or his declaration that ”Blessed are the Peacemakers,” the hypocrisy of those who supposedly honor him as Christians but support war seems telling. 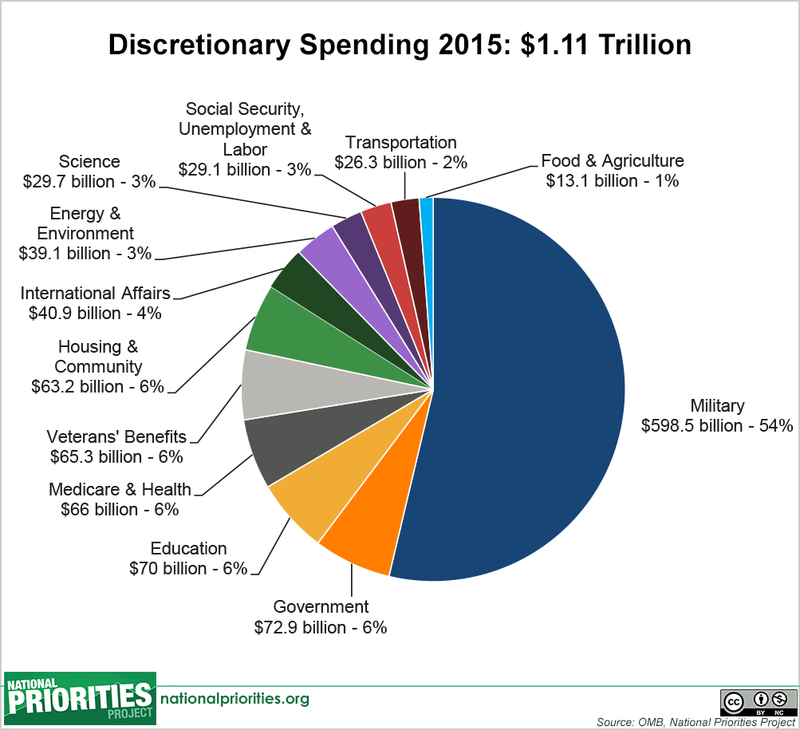 Our government chooses to spend many times more on war and militarism than on diplomacy, education and development. The winners in all this are those who profit from war. At a minimum we need a Congress, regardless of what party controls the various branches of government, to seriously discuss the options for war versus other approaches rather than authorizing whichever president is in office to run endless war. Rep. Lee continues to call for Congressional debate and a vote on the repeal of the AUMF . This isn’t a left/right, conservative/liberal, or Republican/Democrat issue. It is the constitutional responsibility to declare war that our representatives have avoided. Let’s ask those in Washington now to have this serious public discussion and vote. And while they are at it, pass the Auditing the Pentagon Act. This alone won’t bring us peace, but it is a necessary step along the way. Einstein said that insanity is doing the same thing over and over and expecting different results. The legacy of war defines insanity. It requires us to challenge the automatic violent responses to end conflict. War is bullying on steroids. We citizens are funding it. It is time for a new approach. It won’t happen unless citizens demand it.